I am also giving away my copy of this book - leave a comment with contact information to enter. The everywoman's guide to personal retreat. Overworked and overwhelmed, many of today's Christian women live their lives at an exhausting pace---without any margin for refueling. Even in their strongest spiritual seasons, most long for more intimacy and time with their heavenly Father. But with the demands of modern life, simply getting up earlier in the day to fit in a devotion is no longer a viable---or fulfilling---option. What if there was a way to plug in and recharge your soul, not just your smartphone? What if a simple day away could transform your life? 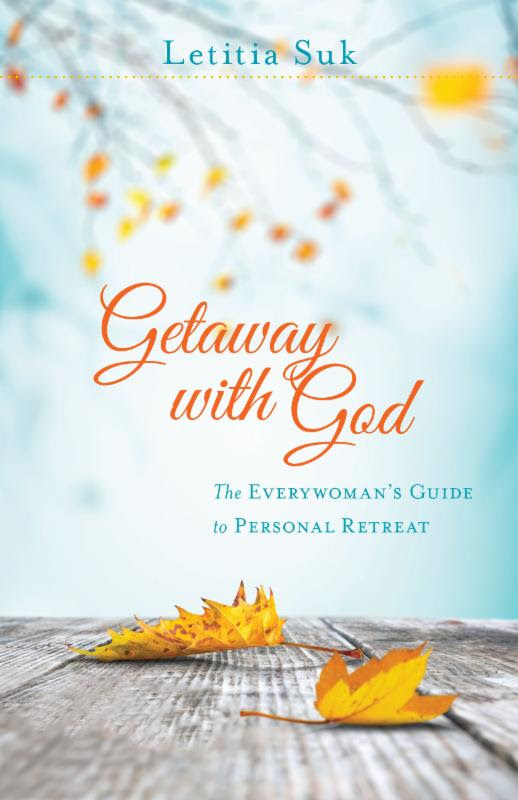 Getaway with God invites readers to step away from the incessant pressure of deadlines and demands to spend time with God. More to the point, it walks women through each step of designing their own retreat---whatever kind is needed. Letitia Suk provides step-by-step guidance and the necessary tools to enable any woman to plan an extended time away on any budget. Part one offers detailed steps for preparation, including descriptions of different kinds of retreats and templates for how to use each hour. Part two focuses on designing a five-day life-review retreat, including guided questions and ways to bring the retreat home. The practical appendixes identify retreat centers nationwide and provide a checklist for what to bring. Suk's warm, mentoring voice will assure readers that, no matter what their season in life, the time for retreat is now. First, the disclaimer. "I was provided a free paperback copy of this book. All opinions are my own." That done, I was very surprised by this book. Maybe my brain read more into the title than what was intended, but I thought maybe it was a devotional and would be a 'deep' study of the word. Maybe I should've read the back cover copy before I jumped! OK, so now that we got failed expectations out of the way I will review it on what it is instead of what it is not. :) Ms. Suk is a retreat junkie by her own admittance. She goes to multiples ones a year. And when none is scheduled when she wants one... well, why not? Her first unscheduled retreat was at a convent. Cool! But she was a bit put out by the lack of a schedule. I'm supposed to do what when? and where? How? Ms. Suk also seems a very organized type, and having a lack of a planned itinerary to follow made her plan her own. Once she was satisfied, she spend a lot of time in the word, resting and relaxing. Later, Ms. Suk invited a friend to go on an unscheduled retreat with her to a bed and breakfast. Her friend came armed with bubble bath and little else, and her retreat focused on pampering herself the entire time. Ms. Suk was a bit judgmental at first, (she admitted it) but came to realize that was exactly what her friend--a busy mom--needed. I am not a retreat junkie. My idea of a retreat is Sunday evenings after church services are done and enjoying a book, a bubble bath, time in the word, maybe a nap, and NOT working. I don't even fix dinner. You're on your own Sunday evening. I need those few hours of quiet a week. I have five children and am a pastors wife and I homeschool, and the thought of all the work that would have to go into me leaving home for a couple days is -- wow, overwhelming. And then all the catchup work when I get home. And being in a strange, unfamiliar to me place? No. Just no. Clearly I am not the intended audience for this book. If you are a retreat junkie, this is hands down a book you must have to help you plan your own retreat--complete with an already planned for you itinerary. Ms. Suk is very detailed and this book will save you a lot of stress work. She does it all except book the facility and pack your things. 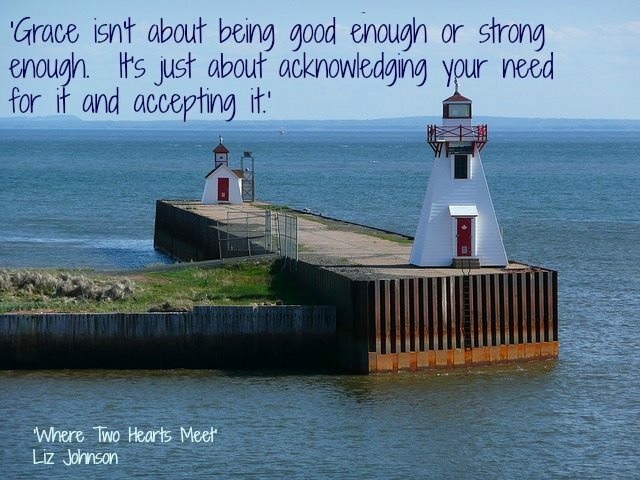 Letitia Suk is an author, speaker, and life coach. Her previous works includes Rhythms of Renewal. She regularly blogs at LetitiaSuk.com and makes her home in Evanston, Illinois. My thoughts: First, the disclaimer. "I was provided a free paperback copy of this book. All opinions are my own." That done, as with most readers of Amish fiction I was introduced to Beverly Lewis by her first books and I fell in love. I couldn't wait for the newest Beverly Lewis books to hit the shelves. 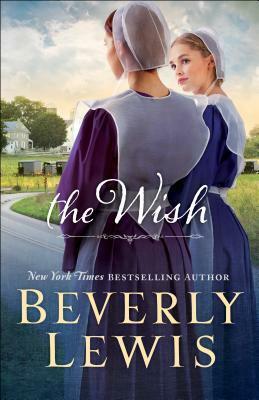 THE WISH is a stand-alone women's fiction Amish story. There is no plot, the story is told and not shown and I felt distant from the characters, and worse, I didn't care what happened to them! The intro - above - says that Beverly Lewis is the top Amish author, I suggest that Ms. Lewis has lost her title. There are so many better Amish authors out there. 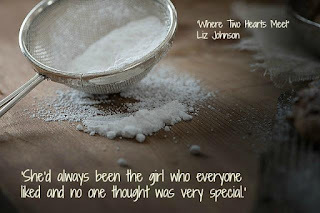 I won't name names because if I do, they will be MY favorites, and there are Amish authors out there that are fan-favorites and I won't read their books. But if you tried THE WISH and didn't like it, don't give up on the genre. Try another author. However, if you love Beverly Lewis and women's fiction set in Amish country, then give THE WISH a try. Don't take my word for it because you opinion is the one that matters. My dad worked for IBM, so we moved several times during my childhood, but I primarily grew up in Maryland and New Jersey. I’m the only author, but we are a very creative family – mostly music and art. I’ve been writing since I was about seven or eight years old. My parents must have seen some sort of interest because they gave me a writing tablet and package of pens and encouraged me to use them. (I still have the notebook!) My parents are both readers, so we were introduced to books at a young age, and I typically read above my grade level. When I read A Tree Grows in Brooklyn I knew I wanted to be an author to affect people like that book affected me. I met my husband, Wes, when I was a junior in high school. My family had just moved (again! ), and he was in the youth group at church. It was definitely not love at first sight for me – I was still mad at my father for relocating us, and I had left a boyfriend in NJ so I wasn’t looking to date anyone. Wes is my biggest fan and encourages me every day about my writing. We don’t have any children. Just a Boston Terrier, and he’s more interested in sleeping on the couch than reading! I love the research aspect of writing (sometimes too much), and I do quite a bit of research before ever setting pen to paper (or fingers to the keyboard). My books are set in England, so I had to do a lot of research to make sure things were in the right place, etc. I’ve contacted museums, interviewed people, read first person accounts of events, and of course web searches for information. I’m proud to say that when my editor read my first book she asked when I had visited London, and at that point I had not been there yet. My favorite book is Love’s Harvest which is based on Ruth (one of my favorite books of the Bible). I modernized it and set it during WWII. I identified with Noreen, the Naomi character. Life has been difficult for her, which causes her to question God, but in the end she realizes he has been in control and has her best interests at heart. Award-winning Broadway actress Leighanne Webster has it all until an on-stage panic attack brings her career crashing to the ground. Returning to England to help produce the annual Robin Hood Festival play could e the diversion Leighanne needs. 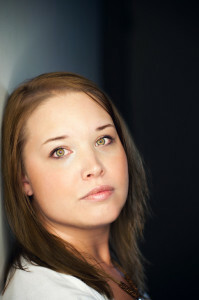 But with ex-fiance Jamison Blake as the play's director, focusing on her new job won't be easy. Breaking his engagement with Leighanne so she could pursue her dream of being a Broadway star was the hardest thing Jamison Blake ever did. When she returns to Nottingham, his heart insists he made a mistake. 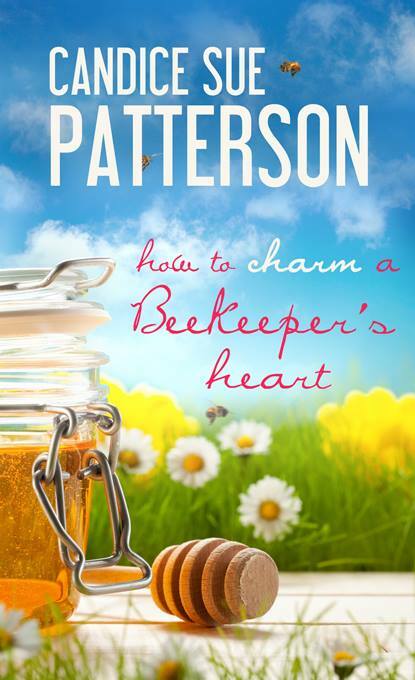 Can he convince her to give their relationship another try, or will he have to let her go again? This time for good. 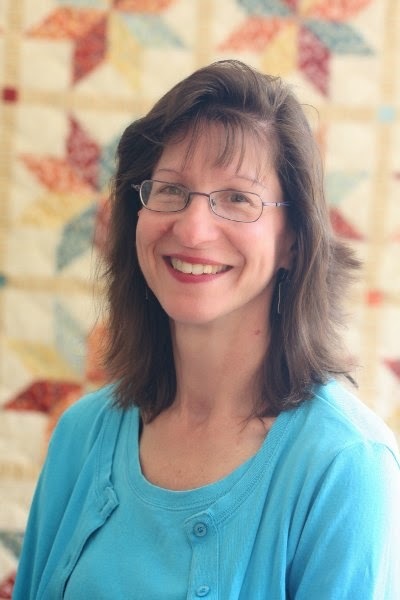 Linda Shenton Matchett is a journalist, blogger of all things historical, and author of Love’s Harvest, a fictionalization of the biblical book of Ruth set during WWII. 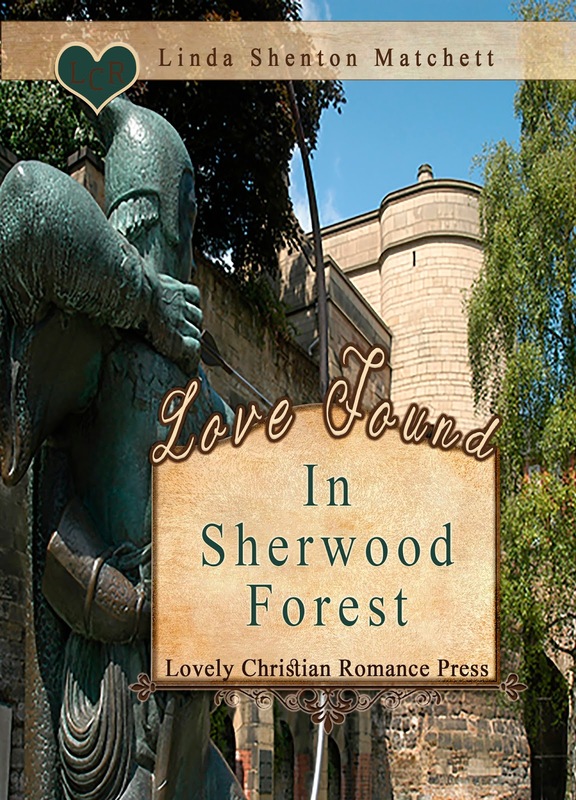 Her second book Love Found in Sherwood Forest is due out in November, 2016. Born in Baltimore, Maryland, a stone’s throw from Fort McHenry, Linda has lived in historical places most of her life-from Edison, New Jersey (named for the famed inventor of the lightbulb) and Washington, DC to Wolfeboro, New Hampshire (reputed to be the oldest summer resort in America). A freelance writer for over ten years, her articles and devotionals have appeared in numerous print and online publications. A varied career has included stints as a crisis counselor, human resources professional, bed and breakfast owner, and youth center director. She is currently the Front of House, Snackbar, and Catering Manager for Brewster Academy, a boarding high school. In her off hours, she can be found volunteering as a docent at the Wright Museum of WWII and as a Trustee for the Wolfeboro Public Library. She is active in her church where she serves as treasurer, usher, choir member, and Bible study leader. Linda is also a motivational speaker. Available topics include Life on the (WWII) Home Front, Wartime Baking, Women in the (WWII) Workforce, The Writer’s Life, God in the Workplace, The Proverbs 31 Gal: The Woman We Love to Hate, and Ruth: Lessons from a Foreigner. Her blog, History, Mystery, & Faith, contains posts on little known facts about WWII, information about writers from the Golden Age of mystery writers (1930s and 1940s), author interviews, and adventures in research. Visit her at www.LindaShentonMatchett.com. 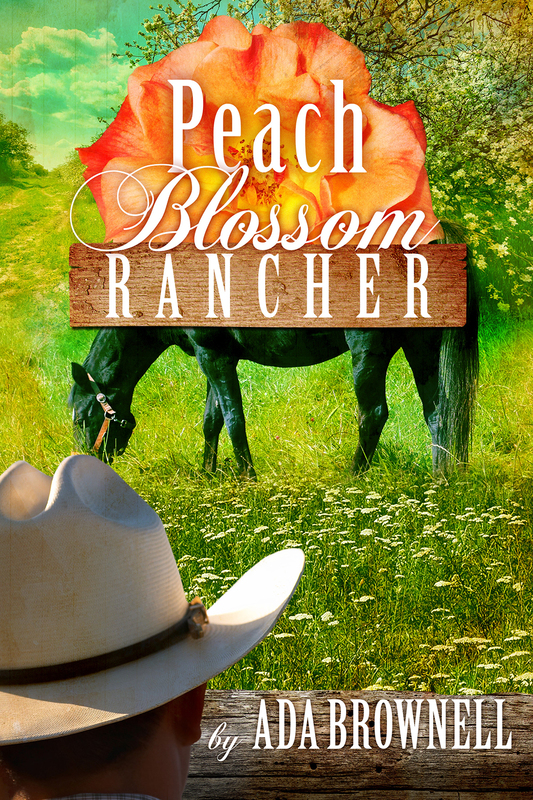 This story is a 2012 ACFW First Impressions finalist as well as a 2014 Seekerville Pitch Perfect winner. I’ve always been fascinated by love: how people fall in love, why they fall in love, the circumstances surrounding their love story. I was born a romantic to the core. Since the love between a husband and wife is just the tip of the mountain of God’s love for the church—His bride—I enjoy symbolizing that love through clean romance stories between a man and a woman. I’m currently diving into edits for my next contemporary romance Preserving Liberty, releasing in 2017. It involves a historical treasure hunt between a Library of Congress Preservation Specialist and an undercover FBI agent. 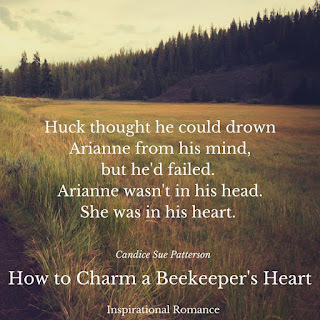 After I turn those in I’ll begin writing book two of my Cadence of Acadia series where a new romance will blossom and Huck and Arianne’s story will continue. I choose the setting based on the characters’ story line and personality. Once I decide, I immerse myself in the setting by hanging pictures around my writing space, ordering travel guides from that area, researching, and reading other books set there. I hiked to the very bottom of the Grand Canyon when I was thirteen. I’d love to do that again someday. In 2007, I met Canadian director Kevin Sullivan (Anne of Green Gables, Road to Avonlea) in Toronto, Ontario. The night before I gave birth to my oldest son, I measured as big around as I am tall! I’m 4’11”, so he had nowhere to grow but out. Needless to say I was uncomfortable. 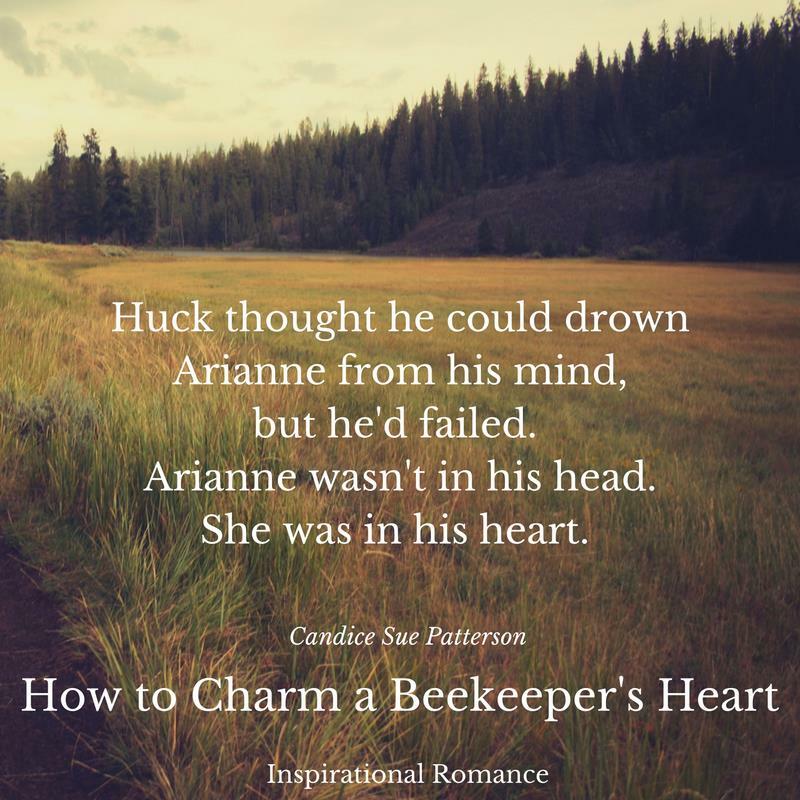 How did How to Charm a Beekeeper’s Heart get started? This story came about while researching for the first novel I ever attempted to write, in 2011. It involved a Maine blueberry farmer, and as I studied the ins and outs and the different types of blueberries, I discovered that many farmers rent bee hives to put in their fields when the crop blossoms. Pollination is vital to production. I’d planned for the beekeeper story to be the second book in the series but God had other plans. As a child, I was always terrified of bees. After all, they sting! 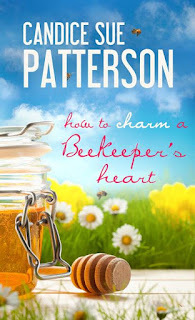 But not long after researching honeybees I became fascinated by them. They’re such amazing creatures and they do more for humans than many realize. Plus honey and other substances made from bees have medicinal qualities, as well as vitamins and nutrients. I’ll never view a bee the same way again. Definitely. In fact, the last few years of my life have been filled with some tough things I never expected. I’ve learned a lot from those experiences whether or not that was God’s purpose for allowing them to happen or not. Though I don’t doubt for a second He had a plan. Katie Fisher is ecstatic. Pro basketball star Brady James has proposed, and she can't wait to start planning their life together. She's confident she'll make it down the aisle this time--but it still may be easier said than done. A high-society Houston bride has Katie and the Cosmopolitan Bridal team scrambling to get the perfect dress done in time for her spectacular wedding. Meanwhile, Katie finds herself bombarded with everyone's competing visions regarding her own special day--and she's beginning to worry that her own ideas will get lost in the crossfire. 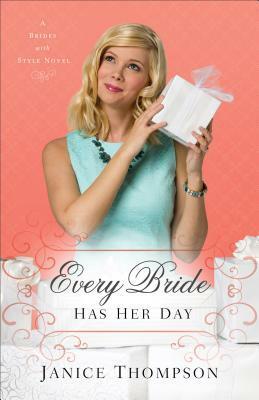 Will she ever manage to settle all of the details for her perfect day? Or will bridal shop chaos and overzealous friends and family make a mess of everything? My thoughts: First, the disclaimer. "I was provided a free advance reader copy of this book. All opinions are my own." That done, EVERY BRIDE HAS HER DAY is about wedding planning with a heaping helping of humor and drama. I am so glad I didn't have friends, family, and future in laws like Katie Sue does in EVERY BRIDE HAS HER DAY. Like most brides, Katie has planned her wedding since she was knee high to a grasshopper, and she knows exactly what she wants. But what to do when the rich mother of the groom--also Katie's boss--has her own ideas--and yours don't matter? Or when your entire hometown, and her co-workers, want to plan their dream weddings and make it yours? And what to do when you have no backbone, and a lot of on the job stress for someone else's wedding? Ms. Thompson is the queen of romantic humor, as well as wedding stories, and fans will want to read EVERY BRIDE HAS HER DAY. This book, (series - Brides with Style) is NOT stand-alone so if you are new to Ms. Thompson you'll want to start with Every Bride Needs a Groom and Every Girl Gets Confused. My thoughts: First, the disclaimer. "I was provided a free paperback copy of this book. All opinions are my own." That done, I am absolutely in love with Caden and Adam. And Esther and Levi. 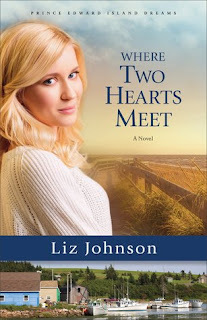 As well as a host of other secondary characters in WHERE TWO HEARTS MEET. I loved that Caden taught cooking lessons to high school students. I imagine her kitchen was a fun and noisy place as they joked and laughed and learned. 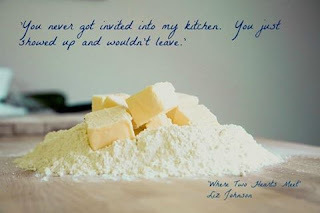 I loved the way Adam found his way into her kitchen and never really left. And I prayed and held my breath along with Caden when she entered the lobster cook-off? Would she finally win? I also ached along with Adam as he had to admit his failings as a person, a son, and a journalist. He carried a lot of weight. I wanted him to keep his job. Really. Well, sort of. Because I wasn't sure how an American journalist could fall in love with a Canadian chef without one of them giving up their current position. And face it, this is a romance. The happy-ever-after is expected. And it was so not a let down. This book had me at the first page and held my attention to the very end. I loved WHERE TWO HEARTS MEET and if you haven't picked up your copy yet, do it now. An awesome story! 5 stars. I cannot wait for the third book in this series. “Let’s start right now.” The pastor dropped to his knees and talked to God as if he stood beside him. Then he prayed for Edwina and her papa. They walked past the sanctuary where the elderly Amos McCutcheon swept and cleaned. “Me, too.” Edwina nodded. “Could you stop at the jail sometime and see John? He’s discouraged.” She stared at the ceiling. The lump formed in her throat again and threatened to dissolve into tears. John Lincoln Parks yearns for a wife to help make the ranch all it should be after his uncle, a judge, ravaged it before he was murdered. John has his eye on his sister Jenny’s elegant matron of honor, Valerie MacDougal, a young widow. But Valerie, a law school graduate, returns to Boston to live. John and Valerie write, but while in Boston Valerie and one of her father’s law partners try to get three patients wrongfully judged as insane out of the Boston asylum—and they spend a lot time together. Ada Brownell, a devoted Bible student, has written for Christian publications since age 15. She spent much of her life as a reporter for The Pueblo Chieftain in Colo., and the last seven years covering the Colorado Mental Health Institute at Pueblo, a former asylum. She also is a veteran youth Christian education teacher. 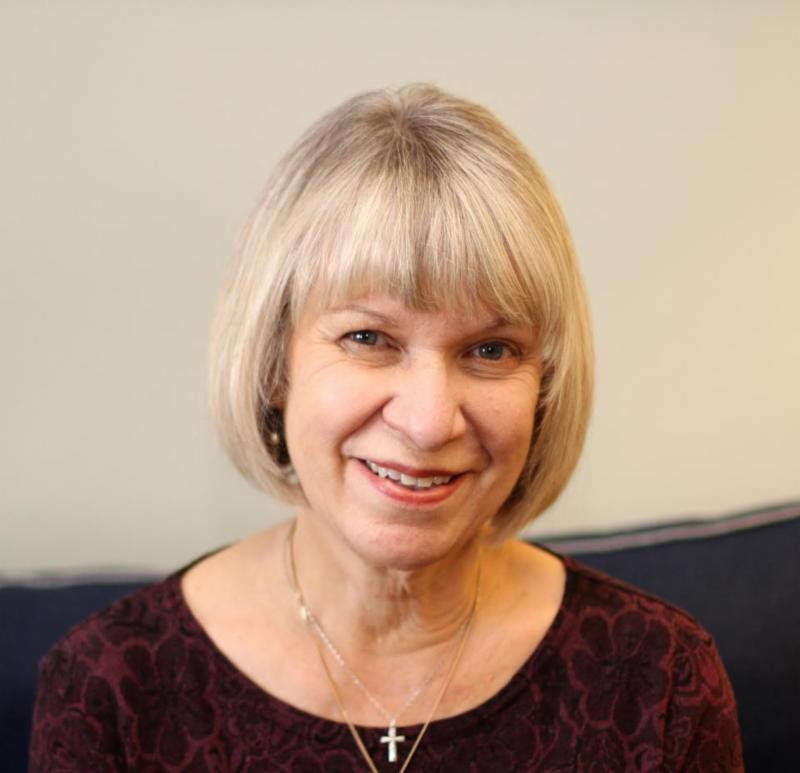 After moving to Missouri in her retirement, she continues to write books, free lance for Sunday school papers, Christian magazines, write op-ed pieces for newspapers, and blogs with stick-to-your-soul encouragement. 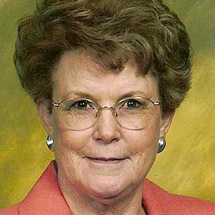 She is the author of seven books and more than 350 articles and stories published in Christian magazines. Ada says pastors impact lives and positively touch almost every area of our lives from birth to death. Ministers blessed Ada all her life, beginning with calling her to salvation at age 5, discipling her in the faith even today, and being there in times of need. She’ll never forget Pastor Bobby Wilson flying all night from Pueblo, Colo., to San Jose, Calif., to get to Ada’s daughter Carolyn‘s funeral. How wonderful it was when he walked in! All of Ada Brownell’s children are in ministry or have been in God’s work sometime in their lives. Jeanette Wilson’s husband Darron was an associate pastor 20 years and now is a hospice chaplain; Jaron Brownell is a worship leader; Daughter Gwen and her husband Mark, who work and teach in health care, spent time in short time missions, Gwen in Kenya and Mark in the Philippines; Carolyn and her husband Michael Coney worked with youth before Carolyn’s death; Gary Brownell is a widely known technology pastor who works in audio, lighting and stage design.